Nice web site. We met at the WVIA program. I am trying to get as many people involved as possible. Check your email for latest note. Thanks for all your help, now and in the future. Dr. Jiunta … so appreciative for all your hard work. Just found out family Bigus of Dallas, PA leased 30+ acres Rear Cliff Drive, Harveys Lake, Pa. Acreage currently classified “clean and green” they pay roughly $400 per year r.e. tax …! We pay $2400 for <1200 sq. ft. (not lake front) GO FIGURE! New Interactive Map Lists Violations, permit data, waste and gas production information for Pennsylvania. Please check out http://www.fracktrack.org and send us your feedback. Tom, sorry for the late reply. I started this site as a portal to the excellent information already online. My hope for this blog is to be a starting point for the uninformed. I am presently looking to purchase signage to funnel the curious to the site. It was nice to meet you at the studio. Please feel free to submit items for the blog. I will look for emails. Thank you for your support and efforts. Great job on the website…lots of important information. Keep educating. This is far more than a portal! I’ve added you to Breathing Is Political’s Blogroll and under “Media Voices.” Thank you again for the head’s up. And thank you for your excellent reporting and coverage! What do you think will ultimately happen in NY? Great website and public meeting with Shaleshock tonight. ‘Love the direct access to petitions and our legislators, and thanks for your efforts in bringing us together publicly and electronically to save our beautiful community. I will be happy to share your website and info. ‘Best of luck in continuing good works. Thank you Robyn. It was a pleasure to meet you at the meeting. I was happy to hear your positive remarks about the linking to decision makers. I think one of the the desired outcomes of any visit to frackmountain is to have someone sign a petition or contact a legislator. I hope to make it more user friendly and prominent in the days to come. Please do share the website. There are people out there “on the fence” and some others are regretting their leases. The money is sooo tempting and the social pressure to join neighbor sentiment is crushing. I just have this hope we can chase Big Gas out of here and begin to think in Twenty First century terms. I think this valley can build a new legacy. We are so close to the biggest corporate corridors in all the world. Will we be hip, or will we be fracked? Will we be cutting edge or continue to be deferential. Where can I donate some $$$ for signs or an ad or whatever. This MUST be stopped! Hi Mom! We are a gathering force of now thirty citizens who are meeting tomorrow night to better organize the effort. You are welcome to contribute in any way. Money is going to be important for things such as bumper stickers and signs. Please email me at the above address and I can give you an address to send it to or you can come to the meeting at 7:00 Wed if you wish. Thank you! Thank you Janine! It is now corrected. I thought you might be interested in the following link. What a great website… You have many behind you. So the infomation distributed is selective. That sums it up. Burn the books, all of thm, and just get your biased information through a select sour grapes few like “2 acre Tom.” This is just like the fraud from the Global warming crew and what were once and not any more called Scientists. Penn State put a stop to the likes of your kind. Your are not fooling anyone. You are the fools. We participated in the Penn State Webinar and according to Penn State, the potential exists for water supplies to be contaminated from gas drilling. We just want our water protected, the value of our homes protected, and our health protected. That is all. Dear Mister Smith, I am asking you to refrain from name calling. It doesn’t advance the conversation and it belittles your point of view. I am happy to give you a voice. But I insist on it being civil. Thank you. 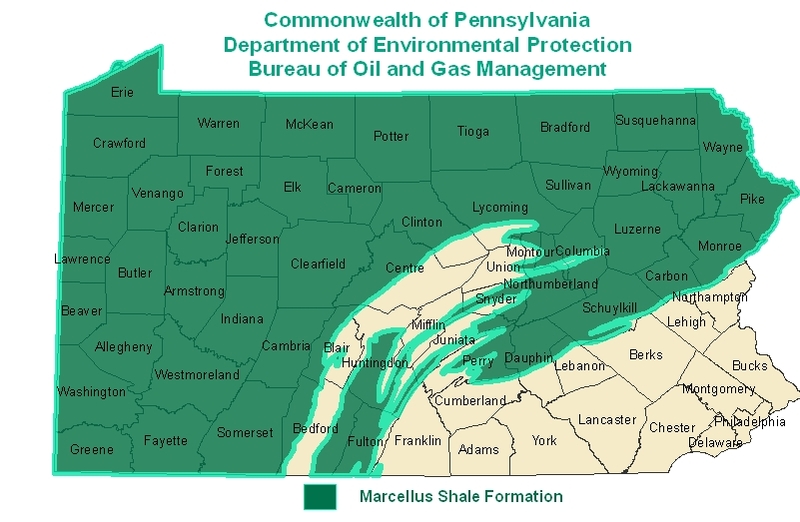 THE LEAGUE OF WOMEN VOTERS of Susquehanna County continues its Educational Series on Marcellus Shale. There is no way to stop this unless you help. Here is the only way. You the editors of Frack Mountain need to help me do this. We need to get capital together with out obligation to pay it back. Just like our elected officials get it from the public when running for office. We need to replace all our energy needs with the most advance energy that is renewable with great potential. Go to California and see Origin Oil.